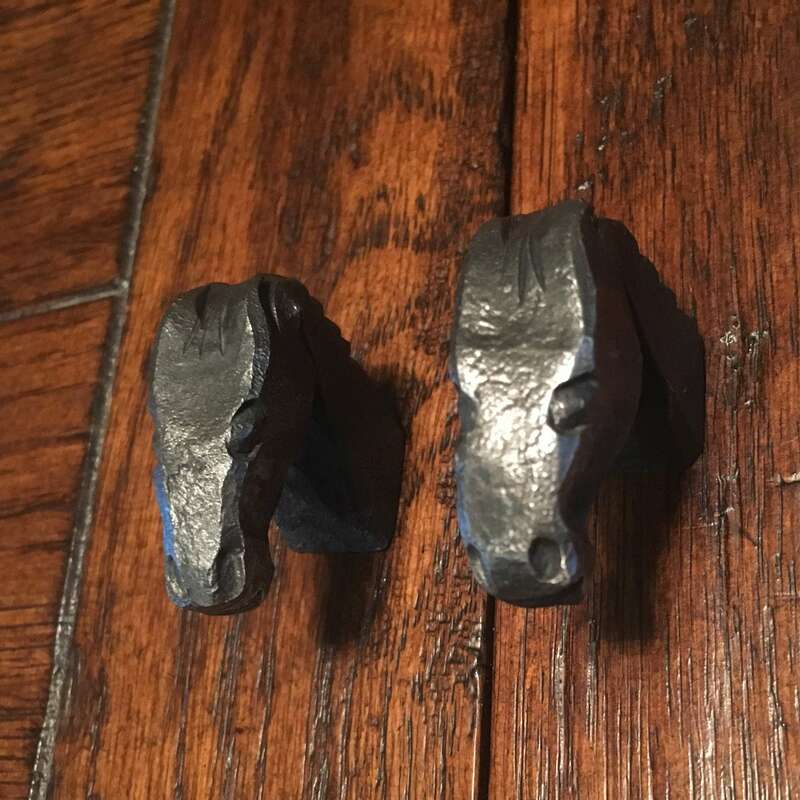 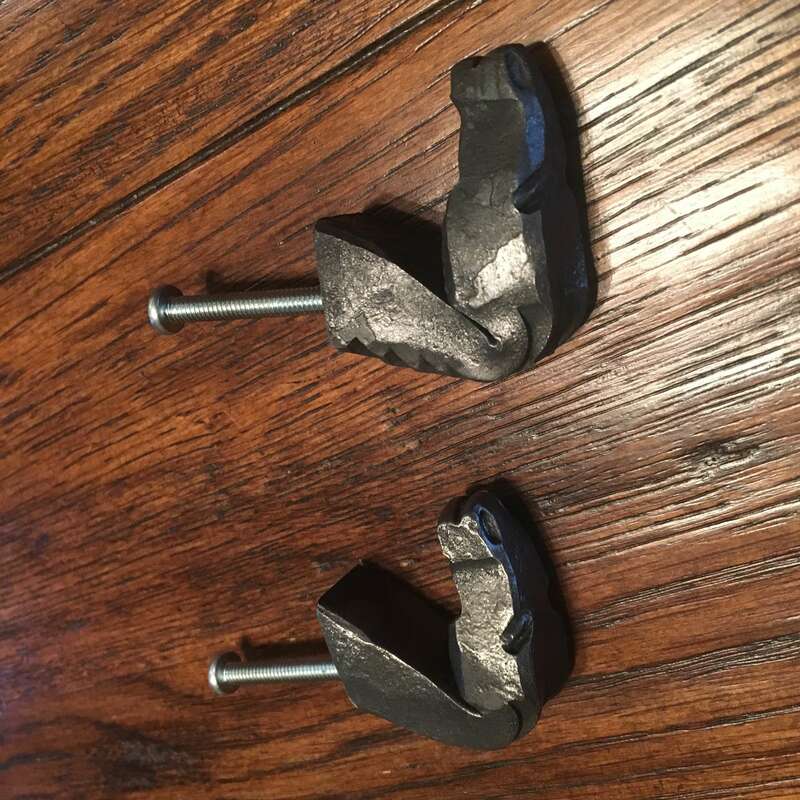 Cabinet knobs or pulls hand forged from used railroad spikes. 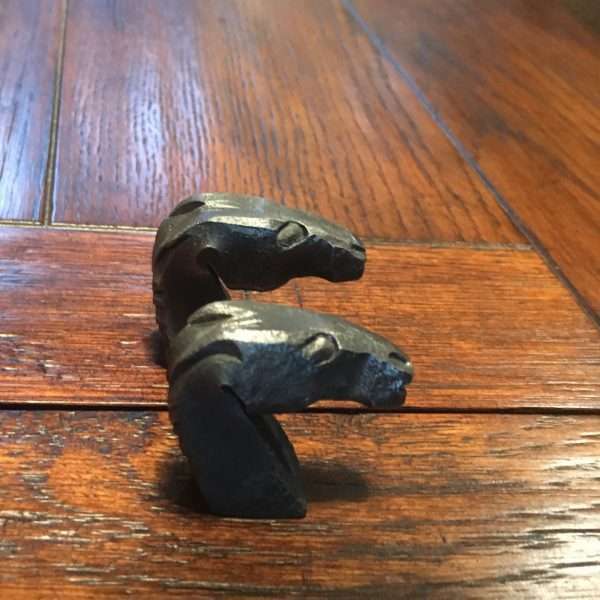 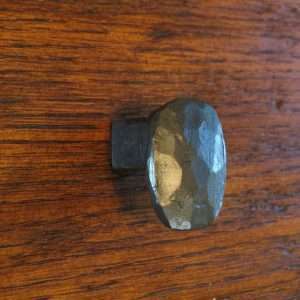 A railroad spike is hand forged into the shape of a horse head. 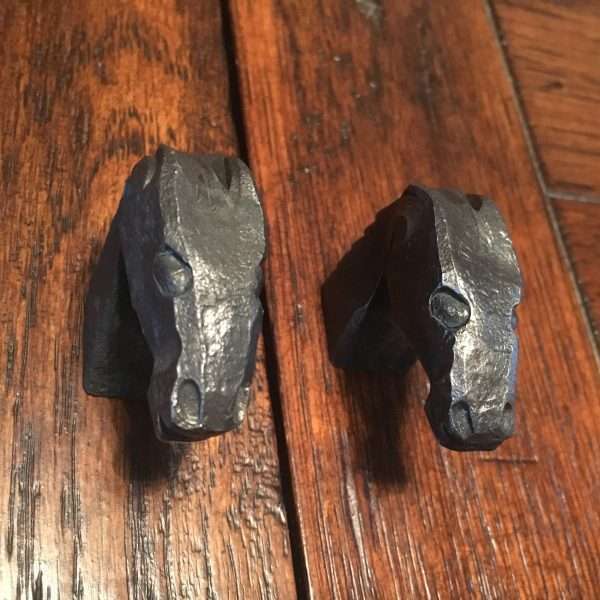 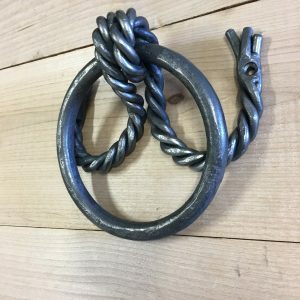 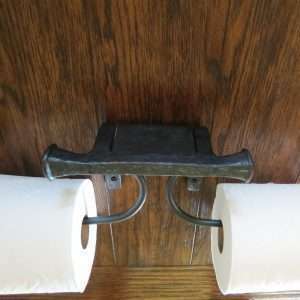 These iron pull handles or horse knobs fit nicely in any western or equine decor theme. Knobs are straight out of the forge and lightly brushed to be nicely rounded, rustic and antique looking. 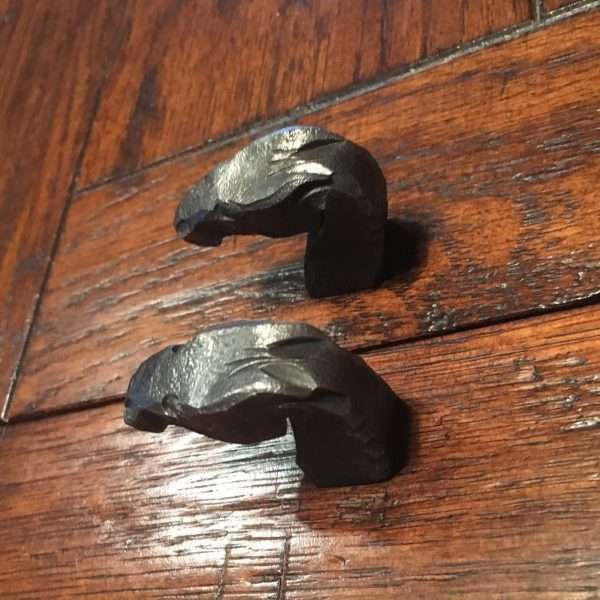 Knobs are sold individually and will vary slightly with size and shape. 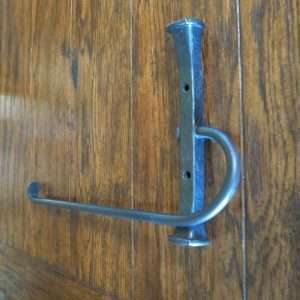 Each knob is tapped and supplied with an 1.5″ 8-32 machine screw.